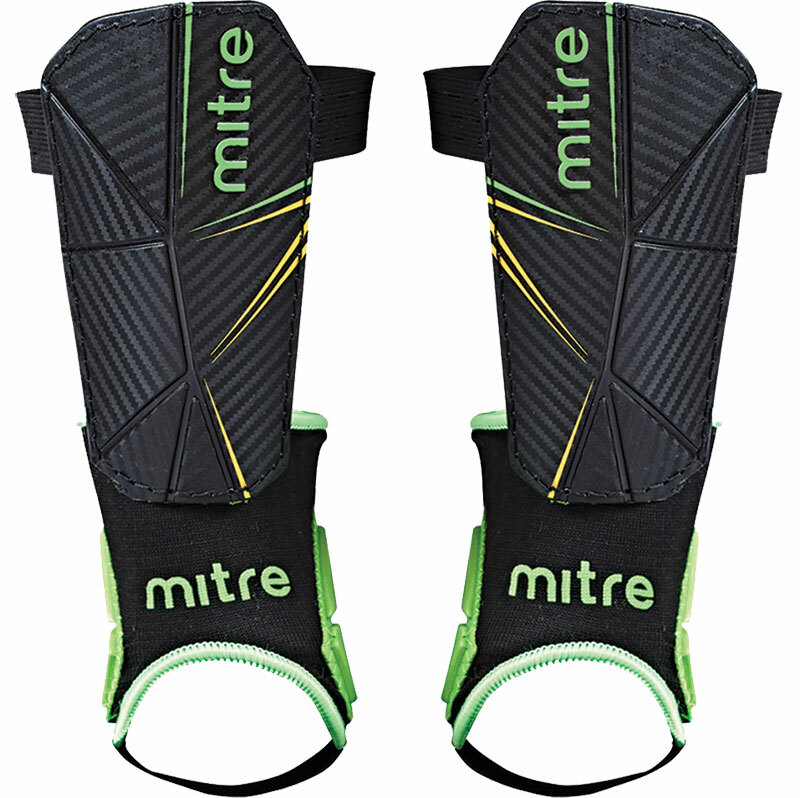 Mitre ® Delta Ankle Protect Shin Guards, a new tough, lightweight flexible guard with elastic strap for positioning. Angular face to help deflect stud contact away from the shin. Contoured foam providing flexibility for increased comfort. Detachable ankle sock for additional protection. Small - 14.5cm length 7cm width. Medium - 16cm length 8cm width. Large - 17.5cm length 8.5cm width.